There used to be a time when Gladiators used to fight for survival in arenas, but now things have changed a bit, for the better, now we see beautiful sports like football being played instead. Football legend Bill Shankly once said – “football is more serious than life and death, and football players are like gladiators of the modern age”. Indeed. In the current football ecosystem, arenas have become an integral part of the revenue system, among other important values that it brings to a team, a city, and a league. In today’s commercial football environment, arenas are very important for match day revenues, commercial growth, high quality media cooperation and hospitality.Fans today buy a “match day experience” instead of just a plastic seat. Development of stadiums paid off in the bigger football countries. 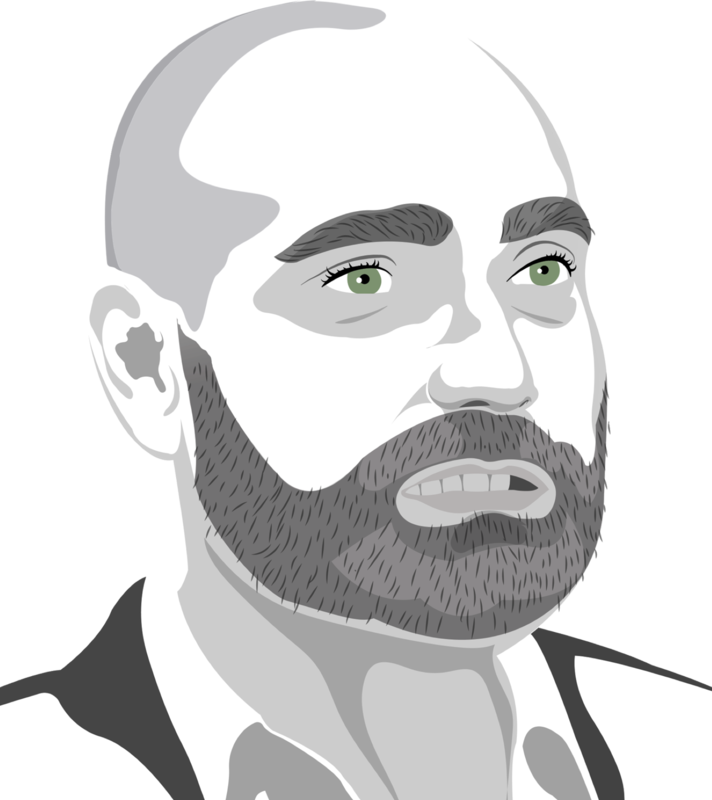 Especially, developed stadiums helped stopping hooliganism in the UK and helped Turkish clubs to commercializeand improve the quality of match day experience and attendance. Today, most clubs in the region have minimal or nom-existent match day experience and commercial revenues from stadia and attendance. But positive steps are being taken towards battling this challenge. Currently, Mohammed Bin Zayed Stadium which is home to last season’s champions Al Jazira in Abu Dhabi and HazzaBin Zayed Stadium which is home to Al Ain FC in Al Ain are top level stadiums with modern designs, state-of-the-art facilities and large seating capacities. With stadiums being an integral component, countries like the UAE and other Middle East countries are slowly but surely taking advantage. 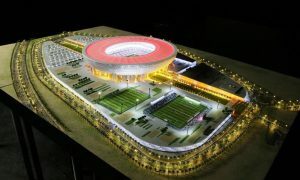 With expectations of the highest quality combined with the ambitions of the football in UAE, new stadia are on the way. Al Nasr Sports club is Dubai’s oldest club,opening in 1945; they played their games on sand pitches near Rashid Hospital until building ‘Al Maktoum Stadium’ in 1978.This stadium opened with a match between Al Nasr and Liverpool. New Al Maktoum Stadium was opened in 1995 as a multi purpose stadium. It is currently used mostly for football matches and is the home ground of Al Nasr with the capacity of 10,750. But it is obviously very outdated and needs a much-needed upgrade. Therefore, Al Nasr’s Al Maktoum Stadium is to be completely taken down and the club is set to construct a brand new stadium. 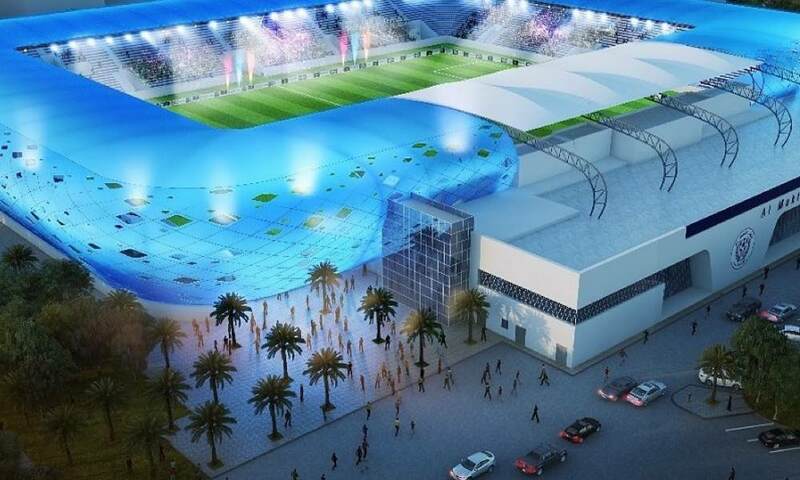 Al Nasr will play their home fixtures in the new season at Al Wasl’sZabeel Stadium, as they build a brand new stadium. The new stadium will have a substantial increase in capacity with the previous arena able to accommodate about 15,000 spectators. The new stadium will be one of the venues to host matches of 2019 AFC Asian Cup. And it will be served as the home ground of Al Nasr after the tournament. 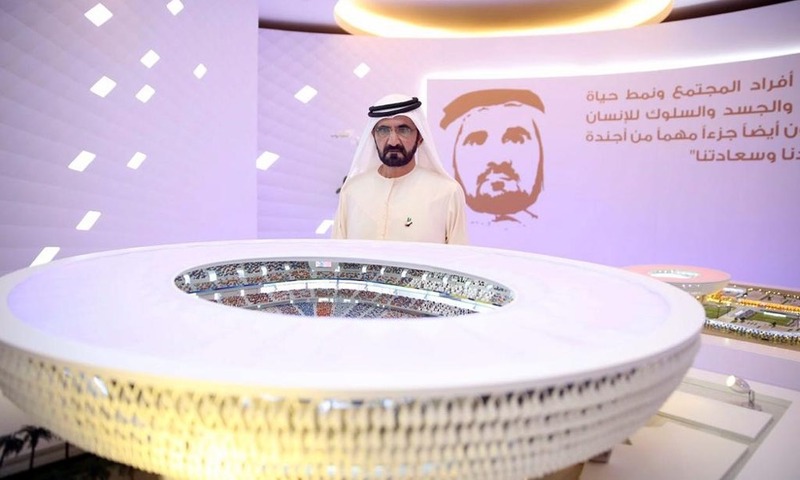 Plans for a 60,000 capacity Sheikh Mohammed bin Rashid football stadium have been revealed.The stadium will have enough seats for 60,000 fans, 23,116 of which are in the upper tier, 6,688 in the lower tier, 8,941 VIP seats and 1,642 seats in the VIP suites. The 3 billion AED stadium will be thefirst ever fully air-conditioned football stadium, with facilities including exercise pitches, a sports training hall as well as a 5,000 capacity car park, a sports museum, a multi-purpose hall and conference and exhibition auditoriums. 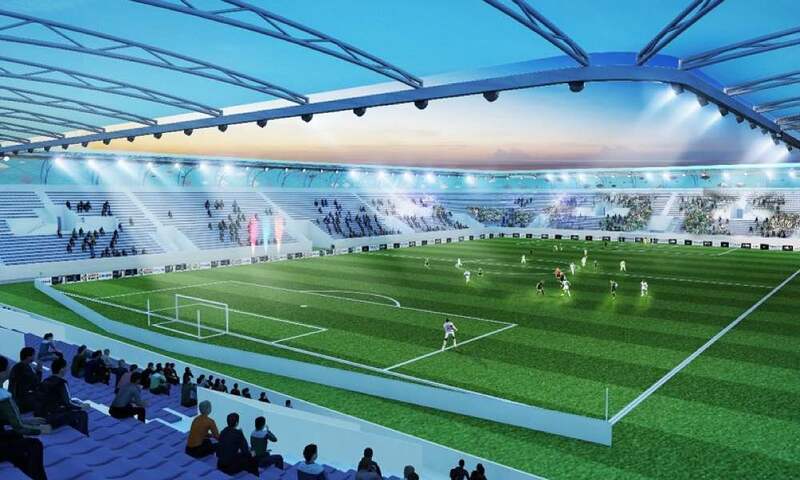 Dubai based Al Wasl Football club is also getting a new stadium, which will be one of the stadiums to be used at the AFC Asian Cup 2019. 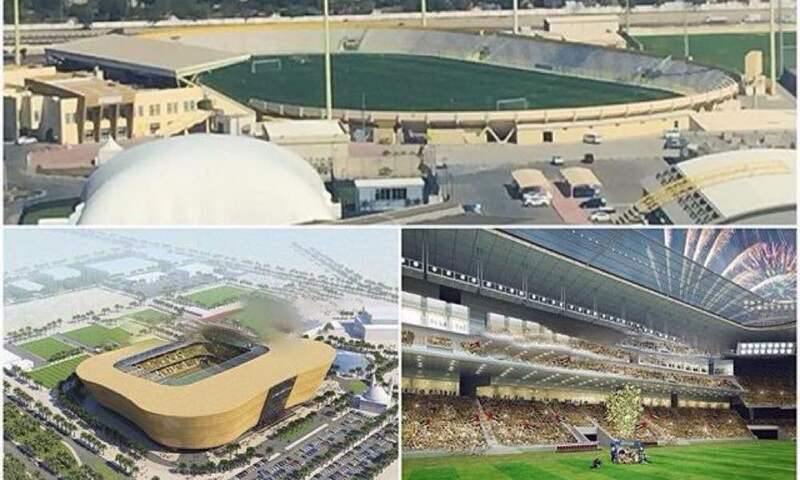 With the addition of these three stadiums, five clubs will have state of the art, stadiums, and a very important step forward for UAE Football. But they have to renew all stadiums in order to increase the quality of match day experience as a whole. The league has to take advantage ofthe stadiums with match day hospitality packages and entertainment. Sponsorshipintegration is crucial for a decent stadium management and commercial growth. 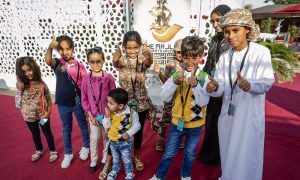 It is for sure that high quality stadiums and utilization of these facilities will bring new fans, especially the expats into the stadia, boost new commercial revenues like stadium tours, museums, concerts and other entertainment aspects.